On February 21st in 1883, Abe Attell, one of the greatest pound-for-pound stars of the early gloved era, was born in San Francisco. At this time in boxing history, San Francisco was a boxing hotbed. Known as “Little Hebrew,” Attell was an undersized Jewish kid in a mostly Irish neighborhood. His father abandoned the family when he was 13 and he left school to sell newspapers on the street corner. He later said that he often had as many as 10 fights in a single day while growing up. Attell launched his professional fighting career at age 17. He just his 10th bout, he defeated the immortal George Dixon to become the Featherweight Champion of the World. Few fighters in boxing history have been so great at such a young age. He would hold the title for the next six years. During his career, Attell beat such Hall of Famers as Dixon, Battling Nelson and Jimmy Driscoll. During his six-year reign, he made 18 defenses, which would stand as the division record for over 70 years, until Eusebio Pedroza broke it in 1985. 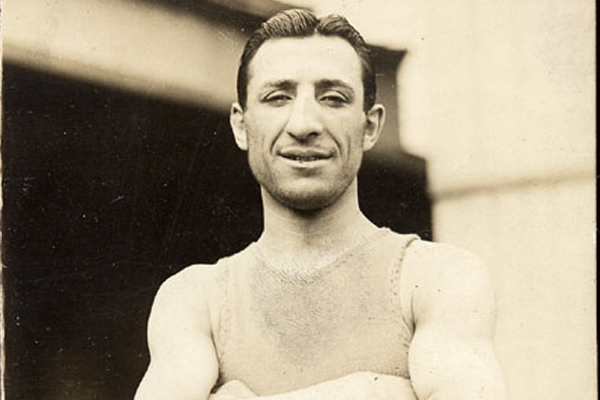 From 1909 to 1910, Abe’s brother Monte held the World Bantamweight Championship, making them the first two brothers in boxing history to hold world titles. After retiring from the ring, Attell would go on to own a very successful shoe store in New York City and also perform on vaudeville stages. But even though Attell is a true legend of the ring and a top 100 fighter of all time, there can be little doubt that his most prominent claim to enduring fame is his tie to the 1919 Chicago “Black Sox” scandal. Attell had developed a friendship with Arnold Rothstein during his fighting days. Rothstein was one of the country’s most powerful gangsters and gamblers during the era. Prior to the 1919 World Series, small-time crooks Billy Maharg and “Sleepy” Bill Burns approached Attell to serve as a go-between with Rothstein, in order to get him to finance the throwing of the Series. In the celebrated 1988 movie Eight Men Out, Attell is admirably portrayed by Michael Mantell.